Our graduate studies programs have a strong focus on applied research with experienced faculty, innovative facilities, and flexibility in structuring your course selection to meet your individual goals. The programs are offered in a supportive atmosphere focused on your growth and development. 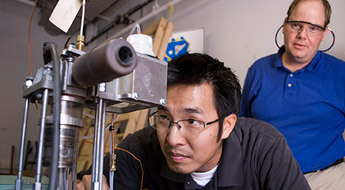 Some programs, such as Engineering Management, offer evening classes off campus to help professionals to continue to work full time while earning their degree. Our graduate program offers a variety of courses and programs taught by passionate and experienced professors to help you achieve your academic and professional goals. Learn more about our admissions process, and the programs and courses we are proud to offer. There are a variety of options for both traditional and non-traditional students at Rose-Hulman. Learn more about how to apply for graduate school. A number of courses have been approved by the Graduate Studies Committee for credit toward graduate degrees. Even programs like math offer classes that can be applied toward required graduate credit. 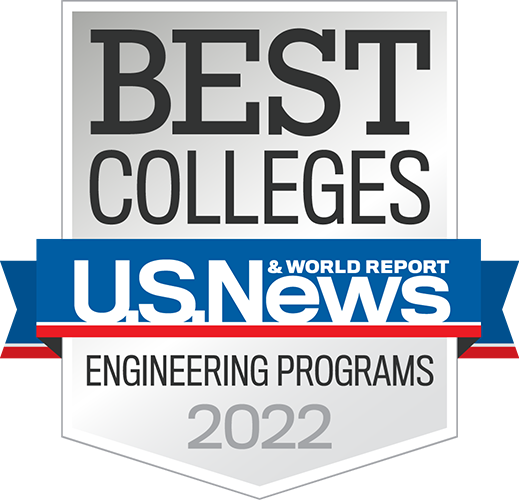 Rose-Hulman offers graduate studies in eight different programs. Some programs offer evening classes off campus to make it possible for professionals to continue to work fulltime while earning their graduate degree. There are seven research facilities on our campus all operating with the dual mission of providing education, as well as performing research and development. Projects at the facilities reflect faculty and student interests, as well as industry needs. As part of the graduate program at Rose-Hulman, you will likely participate in thesis research in one of our facilities. This 40,000-square-foot facility is devoted to student and faculty project work. The center provides space and specialized instrumentation for students and faculty to engage in engineering design projects for external clients. There is ample laboratory space for project-based education. 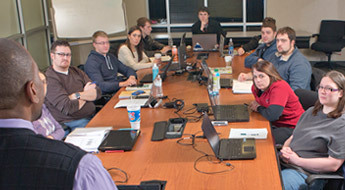 Rose-Hulman Ventures is a program that brings together students and technology-based companies. For students, the program provides the best engineering professional practice experience possible. In turn, this provides businesses with prototypes, refinements to the design of existing products and expansion in current engineering capabilities. 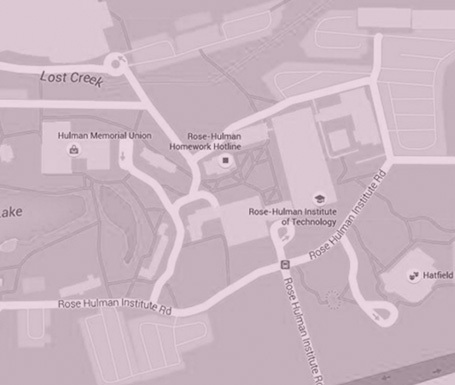 The facility is on the south campus of Rose-Hulman. Why Rose? We're glad you asked. 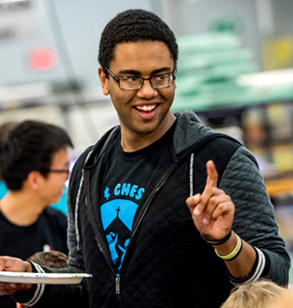 Learn more about why we think Rose-Hulman just might be the best STEM school in the universe. Students who are interested in performing original research and/or research methodology are encouraged to pursue a thesis-or project-based master of science program. Typically, these are students who would like to pursue a Ph.D. or work on industrial projects. The thesis-based or project-based degree emphasizes independent problem solving. A master of engineering degree is a professional degree that is great for both new graduates looking to enhance entry level industry opportunities and for professionals who already have experience in a particular area. Students can earn two master of science degrees through dual degree programs Rose-Hulman has established with Ulm University of Applied Sciences (Germany) and Seoul National University of Science and Technology (South Korea). Students who pursue dual master of science degrees study at both Rose-Hulman and the international university. In the Ulm University program students will earn a master of science in systems engineering and management from their respective home institution. Students in the program with SeoulTech will receive a master of science degree in mechanical systems design engineering from SeoulTech and a master of science in optical engineering from Rose-Hulman. Dr. Craig Downing, the interim Dean of Lifelong Learning, Director of Graduate Studies and Head of the Department of Engineering Management, has extensive experience teaching manufacturing, management, and mathematics at the post-secondary level. He has 10 years of industrial experience, four years as a process engineer and six years as a private consultant for organizations such as Lockheed Martin/NASA, Parker Hannifin, and Crain Enterprises.